Ahhh, those midweek blues. Cured only by staring at soothing pictures of cruise ships all day. Well, that and a long, long nap. Genting Cruise Lines announced the latest addition to the Dream Cruises family with “Explorer Dream”, a 75,338 gross ton, 1,870 passenger cruise ship that will join the fleet in spring 2019 in the role of pathfinder for the brand’s global aspirations. Formerly the “SuperStar Virgo” of sister brand Star Cruises, Explorer Dream will undergo a US 30 million dollar transformation in March 2019 that will incorporate exquisite new facilities including The Palace, Dream Cruises’ signature, luxury private enclave featuring 50 suites and butler service. An integral part of the brand, Dream Cruises was the first cruise line to offer this concept to discerning, high-end travellers cruising Asia. Additionally, guests will be able to enjoy all new food and beverage options combining the best of “East meets West” and a new Crystal Life Spa for the ultimate in pampering and relaxation. Taking the first step to evolve Dream Cruises into “Asia’s Global Cruise Line” by sailing outside Asian waters, from October 2019, Explorer Dream will homeport in Sydney and Auckland where she will embark on 21 seven-night weekly itineraries. 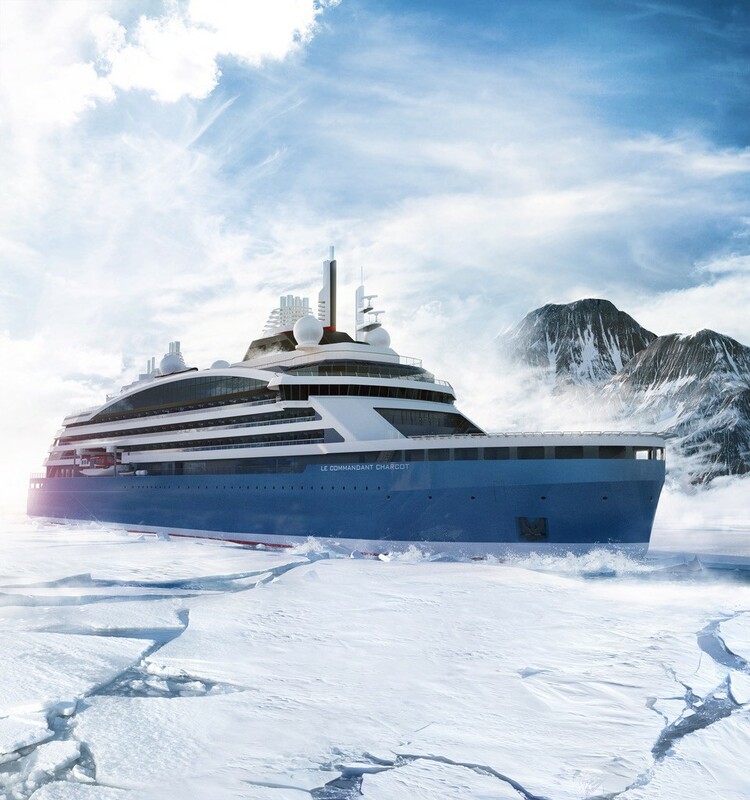 PONANT, the global leader in luxury expeditions and the only French-owned cruise line, reveals the name of its polar exploration vessel: Le Commandant Charcot. A world first, this hybrid electric icebreaker powered by liquefied natural gas (LNG), has been named after Captain Jean-Baptiste Charcot, as homage to the man known as “the gentleman of the poles”. The new vessel will bear the name of a great French explorer: Le Commandant Charcot. An explorer by vocation with a true passion for sailing, Jean-Baptiste Charcot is an emblematic figure of French polar expeditions. By naming its forthcoming polar exploration vessel after him, PONANT is paying tribute to this “gentleman of the poles”, who was respected by everyone. This choice is even more significant since this new ship will be fitted with the latest technology for minimising environmental impact, as well as a scientific laboratory for conducting operational oceanography missions and research. Bookings for cruises aboard Le Commandant Charcot will open on 4 April 2019, but pre-bookings may be made from 6 September 2018 to secure a stateroom and the early bird price. A chance to discover the Geographic North Pole (latitude 90 degrees North) or parts of Antarctica, such as the Ross Sea, Charcot Island and Peter Island, that were inaccessible until now… Passengers booking these itineraries will be in for veritable polar odysseys rather than cruises. Today, Carnival Cruise Line launched its popular ‘Kids Sail Free’ promotion, with fares for the first two guests and allowing up to two kids to sail for free! Families that make the most of this opportunity can cruise to beautiful destinations in New Zealand, Tasmania or even around the South Pacific Islands, including New Caledonia and Fiji and only pay for the first two guests. This deal also includes Weekend Sampler cruises for those looking for a short break at sea. This promotion is only available to book from today until 27 September 2018 on select Carnival Spirit and Carnival Legend sailings from 28 January to 3 March 2019. Families can experience all the fun Carnival has to offer with over 45 activities on board including the Green Thunder waterslide, mini golf, Broadway-style entertainment, theme nights and the whimsical world of Dr. Seuss with Seuss at Sea. 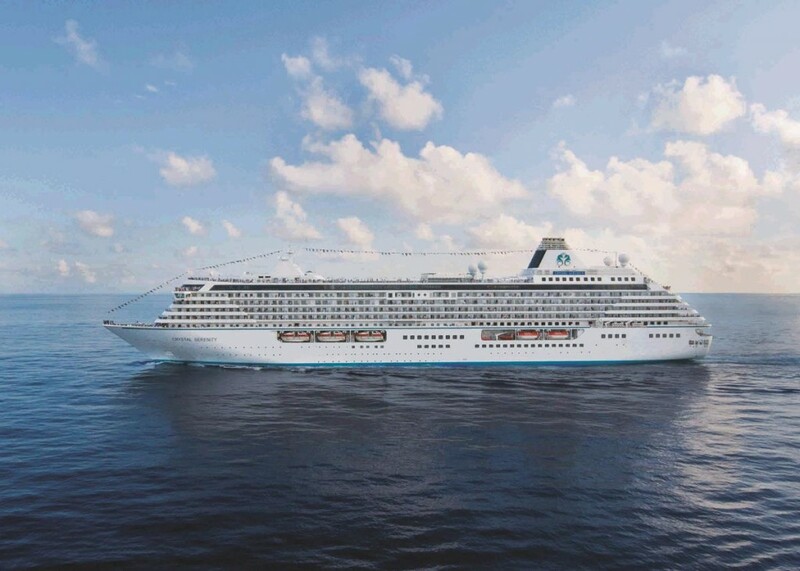 On January 5, 2021, luxury travellers will embark on one of Crystal Cruises’ most extensive World Cruise journeys ever, as Crystal Serenity sets sail on a 139-day odyssey from Miami to London. The company’s 26th annual World Cruise – “Ancient Dynasties & World Wonders” – will follow a route through the Caribbean, Hawaiian Islands, South Pacific, Australia, Indonesia, Southeast Asia, the Far East, India, the UAE and the Mediterranean, featuring transit of the Panama Canal, visits to Egypt’s mysterious Valley of Kings, and the winelands of Western Europe. 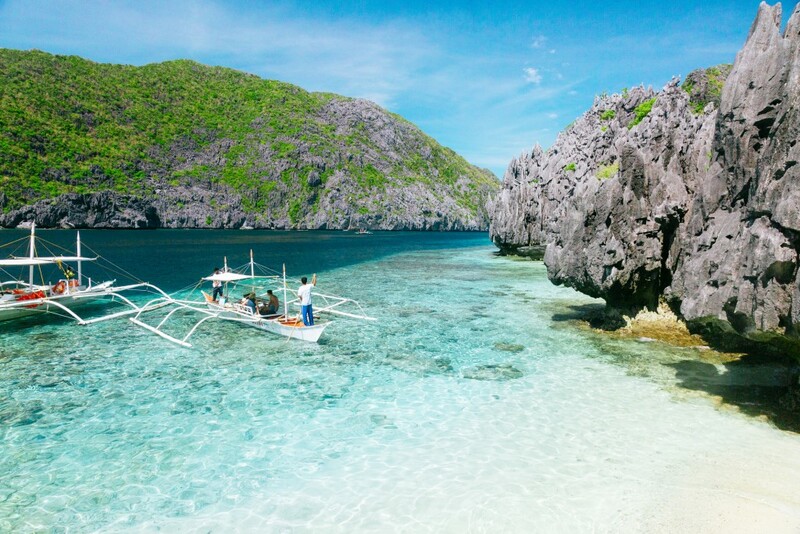 Offered in nine focused segments of 12 to 21 days, the sailing explores iconic locales and less visited destinations alike, allowing guests to explore wild shorelines and landscapes, remote villages and untouched natural beauty, historically profound sites and monuments, and epicentres of modern culture and commerce. The 2021 World Cruise offers alternate embark and debark port and date options for travellers, giving guests considerable flexibility while still receiving the full World Cruise benefits. Windstar Australia has announced an exclusive Fly/Cruise & Stay offer departing Australia 12 January and 18 February 2019 featuring a 16-night Philippines & Borneo Adventure from Singapore to Hong Kong aboard Windstar Cruises’ All-Suite vessel Star Legend (max 212 guests). 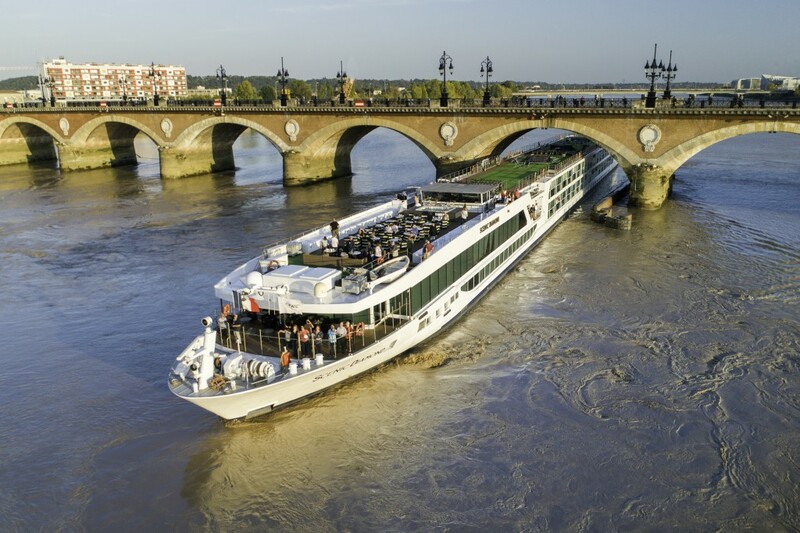 Scenic Luxury Tours and Cruises has released a $95 airfare to Europe for its 2019 river cruising program, valid until 31 December 2018 or until sold out. An early payment discount applies for bookings made and paid in full by 31 October, with an additional $600 per couple discount on cruises of 11 days or longer. Receive a complimentary two night Singapore stopover, when combining a cruise of 11 days or longer with an escorted land journey, two city stays or a second cruise of equal or longer duration. For the solo traveller, book a suite on selected Scenic Space Ship departures of 11 days or longer and receive 50 per cent off the single supplement. Among the benefits on offer to guests during a Scenic river cruise are a full range of luxurious inclusions, such as complimentary top-shelf beverages, up to five dining options and butler service. Enjoy the exclusive Scenic Tailormade GPS devices for self-guided touring and commentary, the freedom of e-bikes plus Scenic Freechoice, Scenic Sundowner and exclusive Scenic Enrich experiences. Luxury cruise innovator, Silversea has revealed that Silver Muse, its newest flagship, will showcase a special selection of Australian literature through its partnership with leading London-based bookshop, Heywood Hill. The Australian collection will be added to the bespoke library – situated within the Arts Café aboard Silver Muse – prior to the vessel’s inaugural sailing to Australia in December 2018. Nestled cosily on deck eight, the Arts Café allows guests to unwind with a book in stylish, comfortable and peaceful surrounds. A wide selection of books featuring Australia and Asia will join the collection, including 28 reference travel guides on Australia and Asia and large format illustrated pictorial titles, which focus on the Australian landscape, art and culture. The new collection of books will include both new and out-of-print titles. Guests will be able to choose from such titles as, ‘Commonwealth of Thieves’ by Thomas Keneally, ‘Fatal Shore’ by Robert Hughes, ‘Australia: A Biography of a Nation’ by Philip Knightley, ‘The Songlines’ by Bruce Chatwin, ‘The Explorers’ by Tim Flannery, and ‘The Dig Tree’ by Sarah Murgatroyd. Over Heywood Hill’s illustrious 80-year history, the London-based bookshop has become renowned for curating collections of new, old and antiquarian books for private libraries. Marked by old-fashioned courtesy and humour, Heywood Hill has been awarded the Royal Warrant by Her Majesty the Queen, among other accolades. As part of the partnership, Heywood Hill also selects books to enrich a selection of Silver Muse’s top suites. 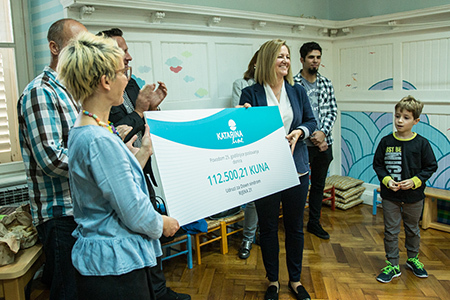 Beyond Travel’s growing off-shoot Cruise Croatia has joined hands with leading cruise operator Katarina Line to assist raising funds for the Croatian charity Down Syndrome Association of Rijeka and Dubrovnik. The small ship cruising specialist plans to contribute four euros from each Croatian cruise booking it makes for 2019 departures. CEO of the Beyond Travel Group, Michael Lavilles, says he expects the initiative to raise significant funds for the charity as the 2019 range of voyages is twice the size of last year’s choice. The Mediterranean, one of Europe’s most popular destinations continues to grow in popularity as a cruise destination and in particular, MSC Cruises, the world’s largest privately-owned cruise line and the market leader in Europe, has seen an increased demand from guests. Next summer, MSC Fantasia will offer Naples as one of the main highlights of her itinerary. Not only is Naples itself rich in history, but it’s perfectly located for exploring some of Southern Italy’s most popular sites and attractions. 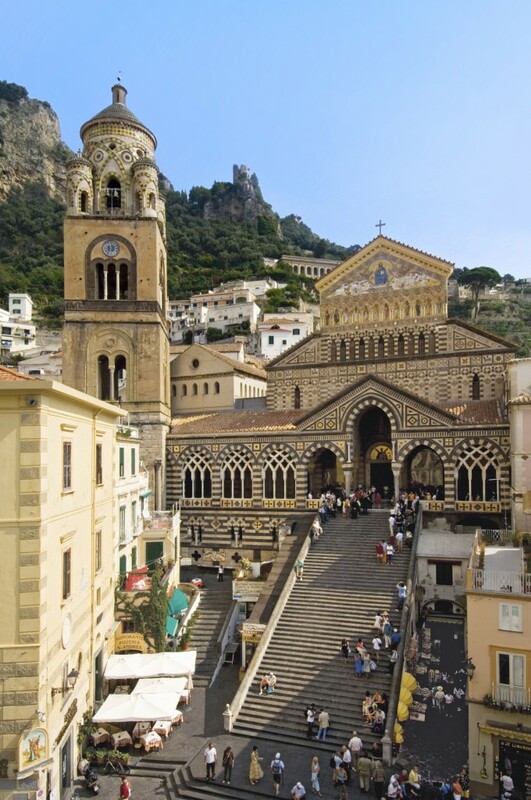 Famed as a destination for chic celebrities and offering the most stunning sea views, guests can add a visit to the charming island of Capri, the breath-taking views of the deep blue waters off the town of Sorrento or the magnificent archaeological site at Pompeii, the third most popular tourist attraction in Italy. Travellers can even enjoy all three vibrant cities and scenic views with one shore excursion organised through MSC Cruises. MSC Fantasia will also call at two other Italian ports, each offering a diverse experience and immersion into Italian culture. From Livorno guests can easily access Florence with its Renaissance art and architecture or Pisa with the iconic leaning tower. Whilst Genoa, set on the Northwest coast of Italy, is rich in maritime heritage and offers another opportunity to tempt the taste buds. Next up is the port of Marseille – the most renowned and populated metropolitan area in the country after Paris and Lyon offering great shopping and bustling city life. For a change of pace, the laidback Balearic islands of Palma de Mallorca and Ibiza are the perfect places to relax and unwind, completing this perfect blend of Mediterranean experiences.